I’ve never been a huge ~keratin~ person, mostly due to ignorance. As a diva with pretty thick hair, I try not to do anything too crazy to it.. Meaning no permanent treatments. And when I think of keratin, I’m reminded of one of my friends and mother who get keratin to keep their hair silky, smooth, and straight… Now I don’t mind a blow-out every once in awhile, but I like my volume, and I LOVE my waves. So, for the longest time, I’ve always paired keratin with the pin straight look I would see when my friend and mother were fresh from getting their hair treated thus avoiding any product with keratin. 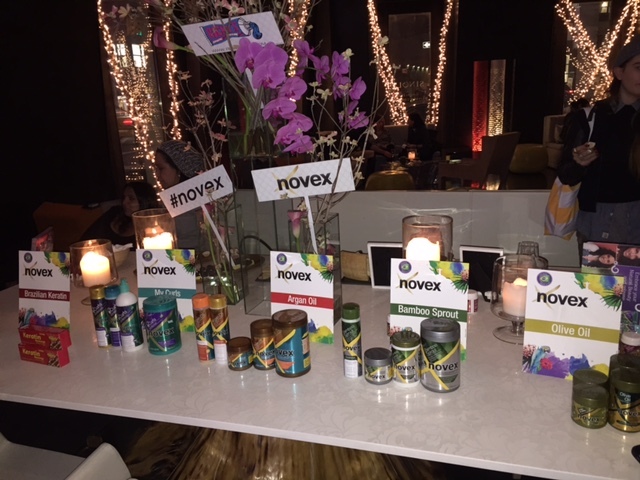 ..And after Novex threw their first Brazilian Beauty media fete at SingL lounge in NYC last month, I’ve discovered that I’ve been living a lie. Novex is Brazil’s #1 selling hair care treatment product line. All of their products provide a deep conditioning system developed to treat the hair and restore shine and smoothness with different products that cater to whatever your specific need may be. Their most popular product line is the Brazilian Keratin line, which I was lucky enough to test out myself. Fear not! Keratin isn’t their only specialty, as I mentioned before, they have different product lines that cater to your needs including an Argan Oil line for extra shine and frizz control, a Bamboo line for growth and strength, a line especially for the curly haired divas to keep moisture and shape, and their newest Olive Oil line for hydration and protection. The best part about all of these Novex Brazilian Beauty lines is that it can be used on any type of hair, dyed, treated, even extensions! The event in itself was not only fun and fabulous, but also educational! Especially for those who don’t quite understand the real benefits of keratin and what it really is (hi, yes that’s me..), there were plenty of Novex girls there to fully explain the best way to use the product depending on hair type. After just a few days of using the keratin line, I noticed my hair was smooth and noticeably shinier. To take it a step further, I let my friend borrow the product line. He had silver hair at the time and had to bleach his hair once a month or so. Of course, with all the constant bleaching and dying, his hair would feel very dry, damaged, and brittle. 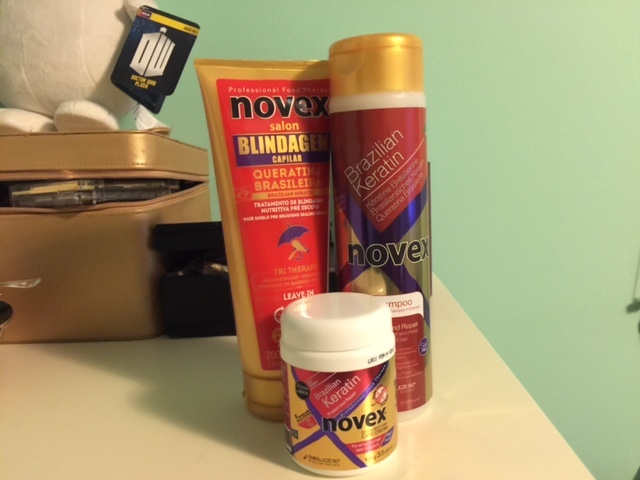 After using Novex’s Brazilian Keratin product line for about two weeks, his hair was noticeably so much softer, especially after using the deep conditioner. My verdict? Keratin is more than just shiny, pin straight hair.. It’s actually a natural protein that already exists in our hair, which we end up losing from all the heat and product we use on a daily basis. Novex’s products work to keep your hair looking healthy, smooth and ~flawless~.. With the weather getting warmer (sort of), and for the divas looking for a drastic hair change – I would definitely recommend this product especially to those with colored/dyed hair. Note: This post is not sponsored. Samples were provided for review. All thoughts are unbiased and my own. Skindinavia Finishing Spray -- Aka Your Makeup's Partner-in-Crime this Summer!